While making a few changes, the International Cricket Council (ICC) recently rolled out the updated ICC T20I Rankings for all entities - batsmen, bowlers, and all-rounders. However, there have been no developments in the top-ten of ICC T20 Rankings for bowlers and all-rounders. Nonetheless, the batting department has witnessed three significant changes in the recently released ICC T20I Rankings. With 885 points up his sleeve, Babar Azam of Pakistan has yet again topped the ICC T20 Rankings for batsmen. Meanwhile, with 825 and 815 points in their bank, Colin Munro and Glenn Maxwell have retained the second and the third spot respectively. 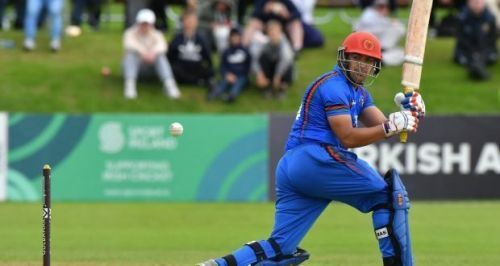 Hazratullah Zazai of Afghanistan, owing to his excellent performance in the recently concluded T20I series against Ireland, drafted himself into the top-ten of ICC T20I Rankings while jumping to the sixth place in the latest rankings. On the other hand, D'Arcy Short's decent run in the T20I series against India helped him to leap to the seventh place in the recently updated T20 rankings. However, Evin Lewis happened to be the only batsman to face a downfall in the recently updated ICC T20 Rankings. The Trinidadian fell four positions (fourth to eighth) in the latest rankings. 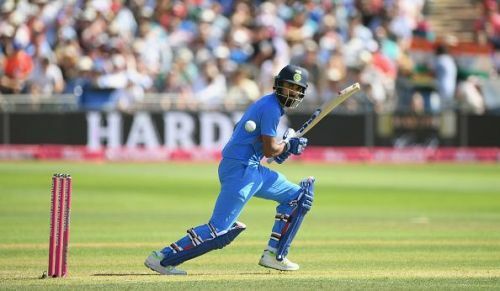 KL Rahul, who currently holds the fifth position in the ICC T20 Rankings, happens to be the only Indian in the top-ten of ICC T20 Rankings for batsmen. With a few changes in the batsmen's rankings, there are no changes in the top-ten of ICC T20 Rankings for bowlers and all-rounders. Rashid Khan (780 points) has once again obtained the top spot in the bowlers' rankings. Whereas, with 720 and 709 points, Shadab Khan and Adil Rashid have retained the second and the third position in the recently updated T20 rankings. The only Indian to feature in the top-ten of ICC T20 Rankings for bowlers is Kuldeep Yadav. With 699 points, the UP-born spinner has retained the fifth spot in the latest T20 rankings. Meanwhile, with 390 points to his name, Glenn Maxwell has maintained his top position in the recently updated T20I rankings for all-rounders. Alongside that, Shakib Al Hasan (338 points) and Mohammad Nabi (330 points) have been successful in retaining themselves the second and the third spot in the latest T20 rankings for all-rounders. Unlike in batting and bowling, no Indian has managed to find a place in the top-ten of recently updated ICC T20 Rankings.